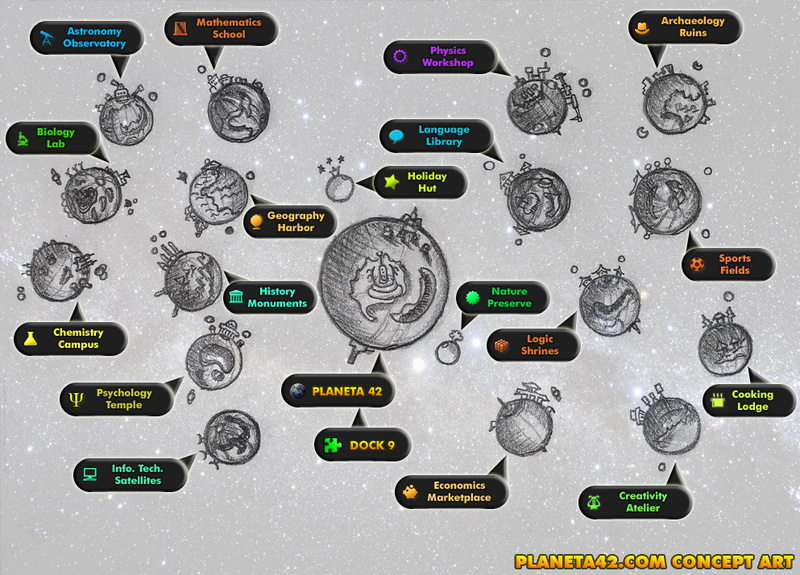 Planeta 42.com is a free educational and recreational gaming site. 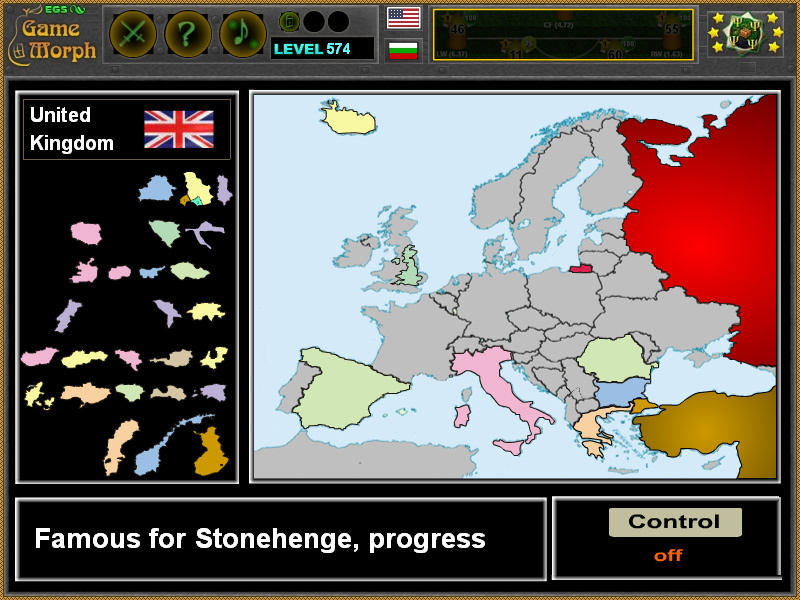 It is the source of the unique Gamemorph games, which are small tasks(adventures) to make on this fictional game world to increase your Knowledge Level. They may be used to study and explore interesting and useful information, about science and nature. They are also easy to use in classes as teacher's tools. The site and the games are made for accessible fun education, lore and knowledge. It is free and no registration is required. The knowledge levels will remain untill browser reinstallation. All games are short and light flash applications, that runs on average desktop computers, laptops, tablets and some mobile devices with installed flash player. - do not need installation or registration, and they are free to play online or download. Ogo - Creative Explorer. High school teacher in IT. Programmer. Game Guru. Tester. Greta - Analytic Explorer. Librarian. Tester. Vesko - Creative Explorer. Graphic Designer. Tester. Gale - Creative Explorer. Artist. Photography. Tester. Lin - Game Explorer. Hardware Support. Tester. Nik - Analytic Explorer. Journalist. Photography. Tester. Gabi - Explorer. Photography. Tester. Eli - Explorer. Photography. Tester. Lili - Explorer. Photography. Tester. Zdravmen - Explorer. Tester. Student. The ultimate goal of the team is to collect wide range of interesting or useful knowledge and create a small online game with this knowledge. We do not pretend our games to be absolutely accurate. They are made for fun education and playing with the knowledge to inspire curiosity. Many of the games are made directly over a topic from Wikipedia. Sometimes we take graphic materials from Wikipedia and try to attribute the autors as appropriate. Planeta 42 project is supported by advertisement. Planeta 42 Knowledge Level Games. Play and get smarter. Fun class games. Planeta 42 "Gamemorph" games have a couple of key features. These features may look stupid or unusual, but they are what makes P42 games different and unique, than other games out there. First, they need to have educational value, including interesting and/or useful data, or information. Second, they must have more pictures and pictographs than texts. Many educational games, as usual, have a lot of texts. 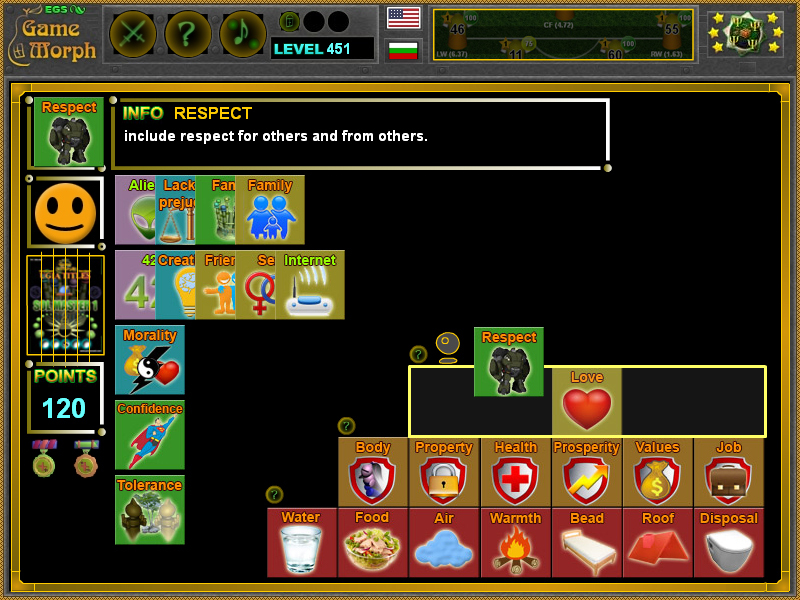 With P42 games, the player will have to connect a picture to a small amount of data, which is easier. Third, they must not take more than 5 minutes to win. Such games are called "minute to win it game". Longer games are better, but time is precious too. Because P42 games try to inspire curiousity, and not so much to insist the knowledge, they are more like a bridge for the individual interest of every person. A lot of the games, may be compiled in one bigger game with inner levels, but in this way information which is interesting to one person, may not be available when the person needs exactly it. In one of the future phases of planeta 42 development, we will release a downloadable aplication ment only for education, where all individual games will be in one game. Fourth, they need to be accessible online. There are numbers of technologies to create online games. Because the world is always in a move and developing, the history shows that technologies tend to be obsoleted. So making the game to be accessible online is hard enough. All school subjects with knowledge level games. Planeta 42 in social outposts. which may be used to explore and study popular knowledge topics, articles and achievements, by interaction. They are suitable for entertainment and recreation, as useful for references and education. Knowledge games for big and small. The collection consist of Fun arcade games with knowledge elements. Free education picture tests for valuation. Interactive puzzles with scientific data, made like movable objects. And other quzzies riddles, mosaics and conundrums, which will increase the web site Knowledge Level and make the player smarter. Also, high Levels will unlock some fun ranks and hidden games. Every "Gamemorph" game gives + 1 Level, even the lore holiday games. P42 Games collection of useful apps is systematized in 16 popular school categories with collectible games. They are available online, free to download and ready to share in most of social networks. No registration is required, everything is easy, quick, free on the spot. The online games require flash player installed. The download versions do not require anything, they include the full game with local levels only. The site is made for accessible education and recreation. Every month, at least one new game is developed. 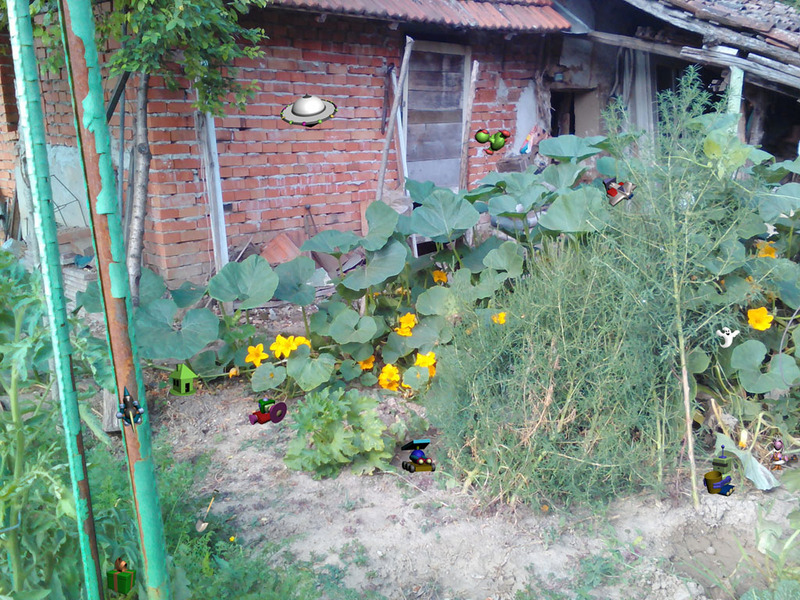 More about Planeta 42 games project. Planeta 42 popular science games are short knowledge applications for desktop computers, laptops and tablets. They may be used to explore and study popular knowledge topics, articles and achievements, by interaction. Every won game, reward +1 knowledge level and remember the level count without registration. Planeta 42 site is suitable for leasure and recreation, as useful for references and education. or useful for wide range of studies. The astronomy category include games about the planets in the Solar System. Upon completion, it will have one game for every planet. Some of them with comprehensive data, like information about all satellites of the gas giants. And other, simple arcade or tile games for fun. 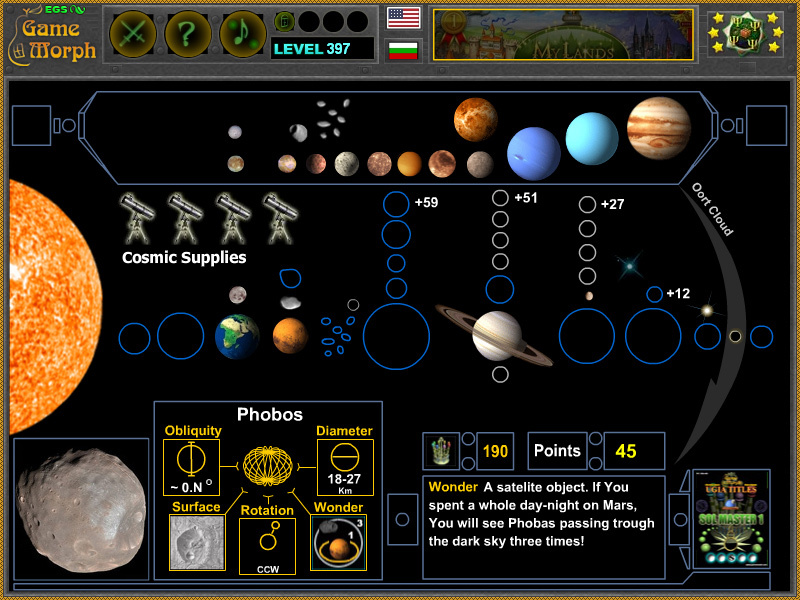 The first astronomy puzzle is developed back in 2005, as part of diploma work at Ruse University. 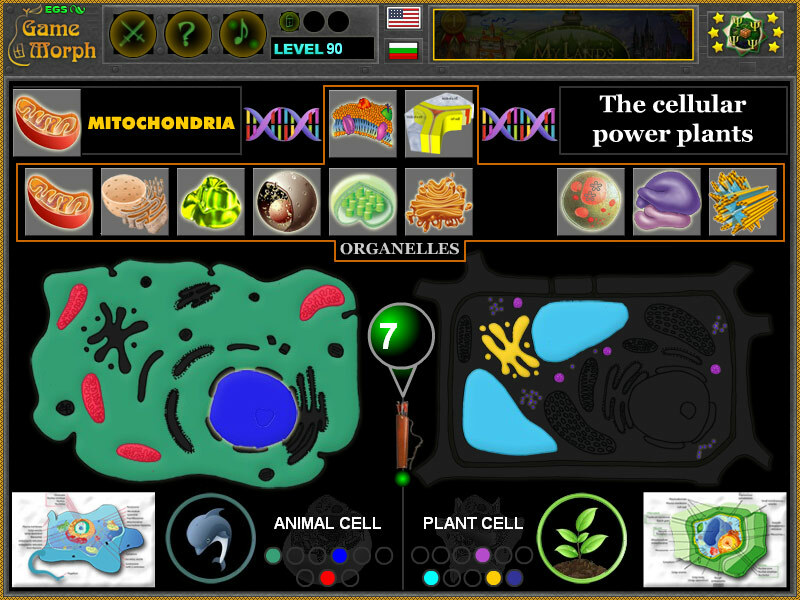 In the biology category, there are all sort of apps, which include anatomy, botany, zoology and even gardening. The chemistry category have some tile games that divide the periodic table for easier study. But also include boards with fun facts and arcade games for more fun in the dry matter. Math games vary from simple arithmetics and geometry games for kids to extended knowledge about probability and percentages. For now, th geography category include political map puzzles for all continents. Upon completion, it should have a country puzzle for all countries. Also knowledge for natural resources and soil is estimated for the geography category. In the psychology category are the most bizarre games, exploring the human mind and behaviour. It active development started on 02.2016 and soon should have more curious things to try there. Information technology category consist of tests, which cover the basis of the IT school subjects, like hardware, software, programming and games. They are very useful for IT teachers, to keep the kids busy, while teaching them complicated matters, like how to handle 16 bit numbers. about more important physics phenomena, like speed and gravity. Also simple boards for more important physical phenomena. so there will be adventure games about cities and structures, that may be closer to tourism. words in at least 6 languages. archaeological, paleontological and treasure antiquities. 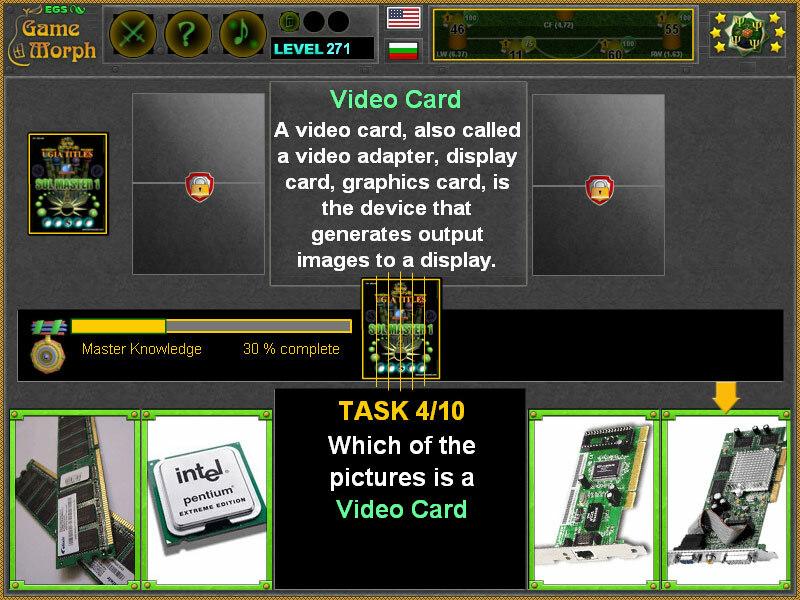 Logic games include fun tests and tasks to develop intelligence quotient. Most of them are borrowed from books and created interactive. from the world of finances and money. musical instruments, arts, artists and painters. with simple games for delicious recipes. This recipies include more than 200 possible outcoms to cook something, most of which are not something edible. Beside these 16 categories, there are four lore categories, to explore holidays and nature, games and movies. They are mend to be school break games. Interactive Puzzles with scientific data, made like movable objects, like Solar Puzzle, Periodic Puzzle, Cell Puzzle, Asia Puzzle and Car Parts Puzzle. Fun arcade games with knowledge elements, like Metals Hunt, Single Cell Live and Mercury Craters. Education Picture Tests for valuation, like Master Software, Logic Figures and Body Cell Types. Knowledge Boards for reference, like Percentage Calculator, Daily Compounds and Statistics. Tile Games for studying and learning, like Civilization Advances and Animals Words. Reflex Games for practicing acquirements, like Arithmetics and Apple Varieties. Board Games for fun and exploration, like Finances for Kids. Quest Games for exciting stories, like Personal Attitudes. Playing them will increase the web site Knowledge Level and make the player smarter. Every "Gamemorph" game gives + 1 Level, even the lore greeting cards. P42 Games collection of useful apps is systematized in popular school categories with collectible games. is a little different in concept from conservative education, it's rarely recognised by educational authorities. Some of the game content may be borowed from official curriculums, but hey are better for recreation, inspiration and guidance in lessons. The online games require flash player installed. The download versions do not require anything, they include the full game with local levels. The site is made for accessible education and recreation. The mobile version of the site include some of the games, redesigned to fit the mobile screen. Yet the mobile device need to be able to run .swf files, and there are still only a few of the games available. This extraordinary service is absolutely free, but include advertisement.